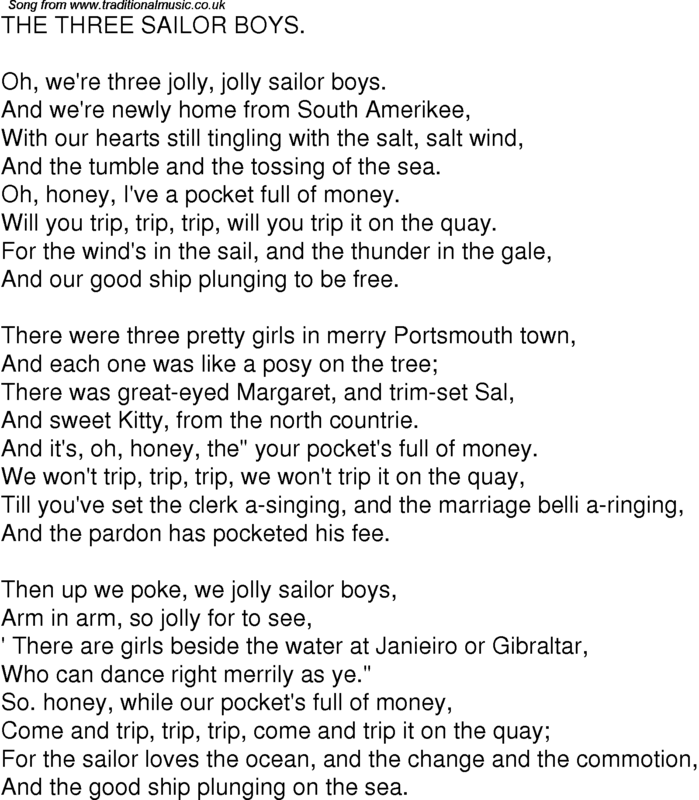 Oh, we're three jolly, jolly sailor boys. And the tumble and the tossing of the sea. Oh, honey, I've a pocket full of money. Will you trip, trip, trip, will you trip it on the quay. And our good ship plunging to be free. And sweet Kitty, from the north countrie. And it's, oh, honey, the" your pocket's full of money. And the pardon has pocketed his fee. Who can dance right merrily as ye." And the good ship plunging on the sea.